Ed Carpenter, who won at Texas Motor Speedway in 2014, clocked fastest time in second and final practice as the teams practiced running in packs with raceday setups. Despite Chevrolet’s highest qualifier (Will Power) starting ninth for tomorrow night’s Rainguard Water Sealers 600, Carpenter was able to screw the fastest lap of the weekend from his Chevy-powered Ed Carpenter Racing #20, setting a 224.682mph on fairly fresh tires and in a heavy tow. That put him almost 1.7mph clear of second placed Scott Dixon in the Chip Ganassi Racing-Honda who finished just ahead of Alexander Rossi in the fastest of the Andretti Autosport-Hondas. 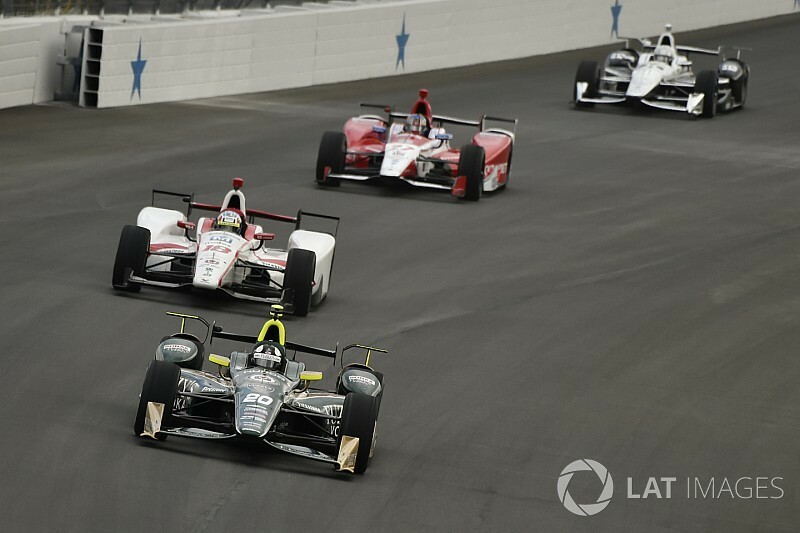 JR Hildebrand made it two ECR cars in the top four, while Simon Pagenaud was fifth, proving fastest of the Penske-Chevrolets, a gnat’s whisker ahead of Helio Castroneves. This pair proved able to do a whole lap side by side, despite earlier worries that Turn 1 and 2 was a single-groove racetrack. 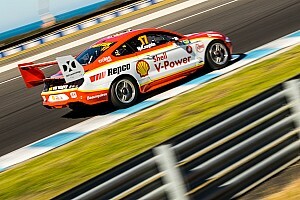 However, Castroneves on the outside was unable to make the pass. Following Tristan Vautier’s surprise fifth place on the grid, Dale Coyne Racing’s strong form appeared to continue, with Ed Jones and Vautier occupying seventh and eighth. Polesitter Charlie Kimball was 13th, while despite missing qualifying after not making it to the tech inspection line in time, Carlos Munoz was able to get on track for practice and finished the session in 18th driving the AJ Foyt Racing-Chevrolet.